SALT LAKE CITY, UT, U.S.A., February 5, 2019 /EINPresswire.com/ -- Skyworks Global Inc.1, the global leader in gyronautics, has named Dr. Ashish Bagai as Chief Engineer for its eGyro™ aircraft electrification efforts effective immediately. Dr. Bagai previously served as a Program Manager in the Defense Advanced Research Projects Agency’s2 (DARPA) tactical Technology Office where he led vertical flight technology development programs. Prior to joining DARPA, Dr. Bagai worked at Sikorsky where he helped design and build the Sikorsky X2 Technology™ (X2) demonstrator aircraft as the Chief Aerodynamicist – X2 was a coaxial-rotor, compound helicopter that flew 100 mph faster than current production models. The X2 earned Dr. Bagai and his team at Sikorsky Aircraft Corporation the prestigious Robert J. Collier Trophy in 2011—one of aviation’s highest honors. Dr. Bagai holds two patents on the design of the X2’s main rotor blades. Dr. Bagai holds a B.S. Degree, a M.S. Degree, and a Ph.D. Degree, all in Aerospace Engineering and all from the University of Maryland College Park. 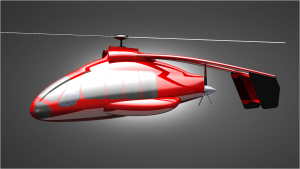 Skyworks Global Inc. is the world leader in gyronautics, the study and design of sustained autorotative flight represented by the company's gyroplane technology. eGyro is part of a portfolio of aircraft in development at Skyworks that includes the SparrowHawk two-seat kit gyroplane for the aviation enthusiast, the Hawk 5 four-passenger gyroplane for commercial transport of people and materiel at very low operating cost, the eGyro electric gyroplane that offers a combination of performance and safety that is not matched by other rotorcraft configurations, and the VertiJet’s potential to become the world’s fastest rotorcraft and only runway independent bizjet. Safe, simple, sustainable – Skyworks brings new ideas and capabilities to aviation. For more information about the company, its products, and individual members of the Skyworks team, visit www.Skyworks-Global.com.